For more details on how to apply one of these workarounds or discuss this issue with other VMware Fusion users, visit the VMware Fusion community forum: Workaround for Printers Sharing not working after Mac OS X Security Update 2009-001. This entry was posted in Uncategorized on February 27, 2009 by David Liu. 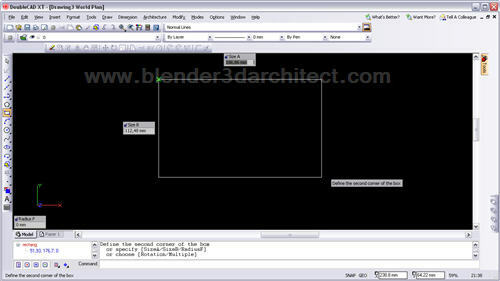 I was trolling my Google Alerts on “VMware Fusion” this morning, and came across this cool post from Allan Brito over on the Blender 3D Architect blog regarding running DoubleCAD XT on the Mac with VMware Fusion. Folks are probably familiar with how running AutoCAD on Mac is totally doable thanks to VMware Fusion. AutoDesk themselves does it at their tradeshows, as we’ve blogged about before. 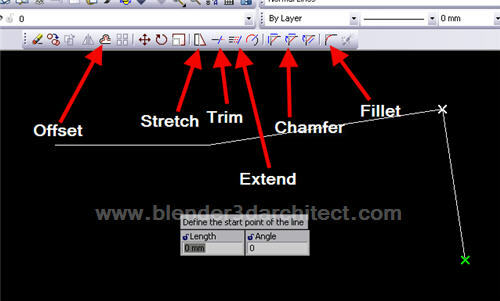 In this case, Allan talks about a free alternative to AutoCAD called DoubleCAD, that has limited functionality compared to full-on AutoCAD, but which might be worth a look for a lot of folks. But like most software that uses DirectX 3D APIs for its 3D features, it looks like DoubleCAD is Windows-only. But as readers of this blog know, that doesn’t mean it can’t run on a Mac! Check out the screenshots below that Allan took of DoubleCAD running with VMware Fusion on his MacBook Pro! This entry was posted in Uncategorized on February 26, 2009 by Pete Kazanjy. VMware Fusion 2.0.2 Now Available: Import Parallels Desktop 4 Virtual Machines and More! We’re proud to announce our latest maintenance release of VMware Fusion 2. VMware Fusion 2.0.2 is a free update for all VMware Fusion 1.x and VMware Fusion 2.x users. VMware Fusion 2.0.2 fixes a number of bugs, while adding some much-requested enhancements. You can read all about it on the release notes, but the highlights are below. You can go grab the bits here. At Macworld we had the pleasure to announce that we had overcome Parallels Desktop to become the top selling Windows on Mac product for all of 2008. One of the reasons why people are switching to VMware Fusion in droves is because we make it so easy to switch, with the ability to import your existing Parallels Desktop virtual machines directly from the VMware Fusion user interface. Ever since the launch of Parallels Desktop 4, we’ve seen many users asking us for the ability to import Parallels 4 virtual machines. At the same time, as more and more users recognize VMware Fusion as a server-class virtualization tool to run on their Mac Pros and XServes, there have been requests for the ability to import Parallels Server virtual machines. Well, we’re happy to announce that in VMware Fusion 2.0.2, you can import Windows virtual machines created in both Parallels Desktop 4 and Parallels Server. Ever since VMware Fusion 2 Beta 2, with the ability to run Mac OS X Leopard Server virtual machines, we’ve heard users asking for the ability to mount a .dmg disk image from a virtual machine. Well, in VMware Fusion 2.0.2, you can finally do that. Also, in VMware Fusion 2.0.1, there was an issue with running Mac OS X Leopard 10.5.6 virtual machines, requiring folks to use 10.5.5, and refrain from upgrading. This is now fixed too. Lastly, there had been some issues with installing Leopard Server virtual machines on the new MacBook, MacBook Pro, and MacBook Air announced in Fall 2008. This is now fixed. In previous versions of VMware Fusion, occasionally, when browsing a Windows shared folder or mirrored folder, you would see a lag from the time you opened the shared folder to when contents would start appearing. It wasn’t long, but it long enough to be noticeable, and less than seamless. We’re happy to let you know that this has now been fixed in VMware Fusion 2.0.2. For all you Linux fans out there, VMware Fusion 2.0.2 now supports Ubuntu 8.10 Intrepid Ibex as a virtual machine, complete with pre-compiled VMware Tools modules, Easy Install support, and, everyone’s favorite….Linux Unity view! And for more information please check out the complete release notes, along with the known issues section. Enjoy the software, and thanks for your ongoing support! This entry was posted in Uncategorized on February 11, 2009 by Pete Kazanjy. Sharepoint on Mac Part Duex: With Visual Studio and SQL Studio too! Chris Poteet commented on our previous post covering Windows Sharepoint Services on the Mac with VMware Fusion, noting that he was doing something similar. I told him that if he wanted to blog it, we would point to his post too. Turns out that Chris is using VMware Fusion to integrate Microsoft Office Sharepoint Services Enterprise Edition with SQL Server, while using Visual Studio 2008 and Powershell as his development environment, all within a Windows Server 2003 VM running on his MacBook Pro with VMware Fusion. That’s definitely a geeky mouthful right there. Just the way we like it. You can read all about it here. After comparing Parallels and Fusion I decided to go with Fusion, and it was a good decision! With my MBP which has 4 GB RAM, 2.8 Ghz processor, and a 320 GB hard drive at 7200 RPM I run SharePoint faster than some dedicated Microsoft Server setups I’ve seen! This entry was posted in Uncategorized on February 10, 2009 by Pete Kazanjy. Robert Grissom over at the GSR Solutions Blog has a cool post up on how to run Windows Sharepoint Services 3.0 on a Mac using VMware Fusion. He’s using VMware Fusion to run a Windows Server 2003 virtual machine, on top of which he is installing Sharepoint Server, before deploying it to production. All from the safety of his MacBook Pro. I’m looking forward to seeing if he’s going to run the production service on a VM on an Xserve, running Fusion! Wouldn’t that be the coolest? He notes that this is going to be the first in a series, so it might be worthwhile to subscribe to his blog if you’re an IT professional who administers Sharepoint, but runs a Mac as your weapon of computing choice. This entry was posted in Uncategorized on February 9, 2009 by Pete Kazanjy. Chuck Joiner of the MacVoices podcast did a cool experiment at Macworld, doing some video on top of his normal “audio-only” work. The results can be seen at his new site, MacVoices.tv. Our favorite one so far is Chuck’s interview of Joe Kissel at the VMware Fusion booth at Macworld Expo 2009. Joe gives the rundown and some preview content on his new e-book, Take Control of VMware Fusion 2, which is a great resource for folks looking to wring every last drop of awesome out of VMware Fusion for running Windows on Mac. Check out the interview below, and learn more about Take Control of VMware Fusion 2 by going to the e-book’s site, here. This entry was posted in Uncategorized on February 4, 2009 by Pete Kazanjy.